I think over time, what I've done is I've used a variety of different technologies to determine what's the best technology to do some specific scenario. And sometimes it hasn't ended up being cold fusion, sometimes it's it's been different technology or different platform. The other reality that we deal with these days is that there's a lot of familiarity with platforms for CMS, like WordPress that are so prevalent online, that you just can't get away from knowing them, using them being well, first in them. 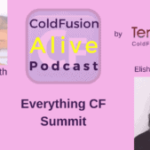 So I think one of the things from a business perspective again, this some time ago, we made a decision that we weren't just going to be focused solely on cold fusion, we could be more competitive, more well versed in a variety of technologies, CF is still go to in many cases, and it's, it's a platform that's worked very well for us many, many years. But at the same time, it's not always the one platform and you need to know and execute. That's very interesting. So what criteria Do you use as a business person to decide whether to use cold fusion on a particular project? Well, generally, it depends on the size of the project, it depends on how much we have already built in cold fusion. So much of our platform works off of the cold fusion engine. And we built the many of the front end functions and the backend functions on CF. So in many cases, what we'll do is we'll utilize that for standard deployments, what we might consider, but if somebody comes to us, and they say, well, we want to add a blog, or we want something that's very basic. In those cases, we may just use WordPress, sometimes it's not our decision, a client may come and say, you know, our Managing Partner heard that WordPress is what you should be using. So you need to be using WordPress for this specific project. And so we'll do that in those cases. So it's not always from our end that the decision making cars, but we do try and as often as possible, choose the right platform for the job. features cold fusion may have that are already built into the platform that we can just plug in, but oftentimes will choose a different platform for that specific integration. A lot of time, there's pre written code that exists that may help us develop something much quicker, so will utilize a different platform or different programming language like PHP just for that specific purpose, because it gives us that much of a head start. Well, that makes sense. So what what kind of obstacles Do you see in with cold fusion? Well, there are obviously a lot of obstacles, I mean, cold fusion has become a lot less relevant than it was when I started programming in late 90s, these at that time, there were, you know, just a handful of options, ASP being one of them, you know, Pearl being another. And the reality was that at that time, cold fusion was the lowest barrier to entry. I think that was a blessing and a curse in that, because it was so easy to use, many people had jumped on that bandwagon at the time, and developed a lot of interesting applications. But there also was the opportunity to have a lot of bad cold fusion developers, people who didn't necessarily, you know, utilize the language properly, or do a lot of good things, and ultimately gave, you know, develop the stigma for cold fusion. Oddly enough, I think WordPress suffers from that same stigma right now. And that you probably have to go through about 50 bad WordPress developers before you find one good one. But at that time, cold fusion was was one of the best tools available for the same reasons that you were able to connect to databases, and you were able to build robust applications without having to write, you know, thousands of lines of code. Yeah, I think that's great thing, you know, it's so easy to get into cold fusion, you know, whether you're coming from another language, or if you're coming from doing HTML, it's just very easy to get going and very productive. So you, you were saying, when, you know, 20 years ago, when cold fusion came out, it had the lowest barrier of entry to not feel that's the case. Now, whether other languages that have a lower barrier to entry than cold fusion? platforms, maybe some platform as a service providers that will let you just come in and spin things up and, and run, you know, new programs based on having absolutely no infrastructure in place, I know that Google does a really good job of that kind of thing. And, you know, I'm sure her Roku to some degree, I mean, they're just all these different platforms out there, that you can jump out and begin developing without having to set up a server or anything like that. So to some degree, I think it is probably a higher barrier to entry these days, comparatively, because while we did have to set up servers back, you know, in the late 90s, before we could do anything and connect them to databases, before we could do anything to a large degree, you had to do that with every platform. Yeah, I mean, not. That makes sense, though. I think some of the cold fusion ISP, you know, they have cloud things where you just click a button, and you've got a new cloud server, but maybe you're thinking of some of those the panel things where you can just click to create a server or create a database, and it does it for you. Angular, you know, there are options for just getting into something and spinning up a full infrastructure and beginning to code that I don't know, there are comparables in the cold fusion world. in it. So I guess some other languages, you don't really have a database that you control, the language itself controls little database stuff. And that's why you don't have to set that up. so let's flip that to the other side, what do you see the benefits of cold fusion? got involved with this technology, I mean, the, the reality is, is that there's no quicker way for me, even as a as who, someone who doesn't really code much anymore, and really focuses on the business end of things, I'm able to get in and try things very quickly, I'm able to, to get in and develop features very quickly for my product. And while I don't code very often, I'm still able to deploy a lot of value to my organization, utilizing cold fusion, something that with another language would take me significantly longer. Now, that's not with everything. Unfortunately, that's not with all the types of things that I may need to integrate with, or, or build on. But the reality is that in in many ways, I'm able to, you know, build something very quickly and charge my clients for at a reasonable price, a very competitive price, and still make a very healthy margin. just having the ability to, at least for me, find cold fusion developers, it hasn't been that difficult these days when you're when you're looking for for CF Debs, if you're you know, if people are dedicated to cold fusion, then they're generally going to be a high quality cold fusion developer. So we don't have that issue. We had, you know, 1520 years ago when everyone was jumping into cold fusion when they probably had no business being programmers in the first place. Yeah, I think what I've seen last 20 years, this is a lot of emphasis on learning modern programming techniques. And you know, from object orientation to database stuff, and just your general interest in growing scales. for holding abilities within technology have been within open source software like WordPress, the Panama Papers hack was a direct result of outdated WordPress plugin. So the reality is, is that there, there is some quite a bit of assumed risk with having a technology that does allow open plug and play with other, you know, developments. I'd say as the author of the majority of that code, 80% of it is code that only my eyes have seen. So that certainly takes down the full vulnerability level. It doesn't make us impervious to attack, but it certainly does make it March a much smaller target and a much more manageable type of security infrastructure. Whereas open platforms like WordPress, you really do need to stay on top of the patches. Because with open source, it's, it's not a question of whether or not somebody is going to look for that vulnerability. They absolutely will. will WordPress for that matter? your survey, recently, the vast majority of people have not experienced a vulnerability in cold fusion. And, you know, the last several years, which is, which is a great thing that's really a powerful testament to CF. But at the same time, you know, it's it, it too is a double edged sword in that, you know, the, the developers of cold fusion engines, especially Adobe, you know, may be reluctant to deploy certain functionality, or it may take them longer to deploy certain functionality because of, you know, an, a real desire to make sure that security is addressed, certainly, with a lot of governmental clients, you know, cold fusion has a very high risk profile. So that may be an impediment to deploying new functionality that the marketplace may want. Yeah, it's a trade off, you know, away secure, I mean, no, it's just like securing your home, if you leave your doors unlocked, it's easy to get into the house. On the other hand, other people can get any easier if you put, you know, seven dead bolts in, like you're living in New York City, and, you know, having an alarm system on a an aggressive dog. Yeah, that's going to keep most people from breaking in. But it's also going to make your life more of a hassle as well. So it's always a trade off with security and ease of use. So anything else that caught your eye in that state of the CF union survey? developed and continued is is something that may be hurting CF in the future. the the option that people go with. Yeah, and I think certainly from the entrepreneur point of view, they want something that they can just get started with immediately. They don't have to install a server or whatever, I mean, it's fine to have a server installed later, but, you know, you want to be able to get started easy. And then I think the other thing is, How easy is it to have get developers productive? And how easy is it to hire good developers? Alright, cool. Yeah, absolutely. And the other thing to think about is, you know, from the, from the perspective of the direction of the language and the technology, I think you ought to consider, you know, what's good and bad for full fusion. Personally, I see a lot of downsides to the way cold fusion is being managed by Adobe, in that it's not, you know, it's, it's, it's, it's kind of a secondary product for them. It's not, it's not the big moneymaker. I'm sure it's not their primary desktop and or cloud based applications, you know, so so maybe it doesn't have the infrastructure or the resources that it needs. And, and I don't know that the community's been very, you know, forthcoming with trying to push the language further and deploy a lot of different things. I know that over time, there's been discussions about maybe forking the language and allowing developers of, you know, Lucy, or other CF engines to deploy new functionality, you know, engage in in technologies that are prevalent in the world without having to have Adobe's blessing on that, you know, I think the way Adobe manages cold fusion is a lot different than the way Google manages No. js or Angular. So the reality is, is that we need to think about that, and we need to determine as a community, whether or not there are things that we can be doing better to make cold fusion more pervasive, if there are things that we could be doing from the from the language perspective, you know, and developing new tags and things like that, that are, you know, on par with the other technologies out there? Yeah, I think the, you know, there's plenty of room to do innovation certainly in the, in the open source, Lucy CFL, and you know, you can there's a public feature list for Adobe CF, though, you know, as you mentioned earlier, that, you know, they have to make sure the security and other stuff is there, and they have a bunch of other priorities. So, maybe getting new features implemented in the open source. One is, is the way to get you things I'm curious with, when you mentioned Google and Node. js, what do you particularly admire about how Google manages the Node. js project? technologies, you know, software that it deploys on lots and lots of machines throughout the world. And that plays into things that plays into decisions that they may make to integrate with something or not to integrate with something because it may not be PC to do so, you know, cold fusion has always had this concept of a VOD bc connection to a database. Well, you know, we've got connections to things like, you know, solar search, and we have connections to things like in memory cache. Well, why can't cold fusion have, you know, Dave database built into it? Well, maybe that's been a political decision that's been decided, you know, not to incorporate, what about incorporating things like NO SEQUEL or, you know, a variety of other database technology. Geez, that may or may not come down to politics, I don't know. But I know that from the perspective of Google and the way it manages its technologies, it doesn't seem to really be that concerned about Oracle or Microsoft, or, you know, any of the other providers out there. Yeah, I mean, it could be partly, you know, politics side, I mean, usually cold fusion works with several technologies, like in the database area work basically works with any database, and they've been pretty open handed, not to, like favor one over another. But it is interesting that there isn't one directly built in night, I guess you could say the O r. m, stuff sort of goes in that direction. so that that's one of the thoughts on that. And then you mentioned the tagline for Node. js I was kind of racking my brain what is the tagline for cold fusion? And I couldn't think, you know, if there is one or have you ever heard of one? content delivery network, right. And so integrating with that was kind of a nightmare. And the reality was, was that it wasn't that complicated. It was just the right pieces of code that you needed to find and put together and, and understand how their system works. Because, you know, the document Taishan of API's is never that amazing. But ultimately, it was, it was like, you know, jumping through hoops just to try to get integrated with something simple, like Amazon Web Services. And we found some code that actually somebody contributed probably three or four years ago to, you know, on GitHub, or some someplace like that. And we found, you know, a pretty decent infrastructure that there was already built out, the problem was that it was based on, you know, their, their original authorization mechanism, and not their new authorization mechanism. And so it was just very complicated to get implemented. And I think if you, you know, with anything else, like they had code for code snippets for other programming languages, but you just didn't, we didn't find one for CF, it just didn't exist. And so that's, you know, that kind of stuff makes it hard for people to engage and even learn about CF. So maybe we as a community need to come out and say, Hey, you know, here's a code snippet, here's something that we can contribute to you that you can share with other developers who may be engaging in this technology, who may be looking to utilize this technology, because I mean, let's be honest, Amazon Web Services, like why isn't there an AWS CF AWS tag? Right? I mean, why isn't there a lot of these things that we need on a regular basis if we're going to be part of the future? how can I put this politely hassled them until they got it up on their website? or something else anyway, right? thank you. I mean, I think part of the appeal of cold fusion is tag based syntax. a year there, they're no different than, than you or I, or any of us in this community. And that CF is really a powerful tool for building products and platforms that that can, you know, sustain very nice lifestyle. So I think from that perspective, there isn't a problem with CF. But there is, you know, that stigma and the more of us that come out and say hey, you know we UCF and here's why we love it. And here's a number of things that we can do to make it better, then, as a community, we ought to engage that rather than, you know, kind of assume that there's going to be something that comes down from the top, that's what I used to do is assume that, oh, yeah, you know, CF, Adobe will come out with that tag eventually, or, you know, and a lot of CF, mild CF life has been waiting for that, you know, next version to come out sitting there, you know, biting my nails waiting for, you know, from from version nine to 10, or, you know, for, for that Java engine on the back end, or, or, you know, whatever it is, there have been so many things just waiting on CF. And I think we need to change that paradigm. A little. I did do another interview about six months ago on that topic. So I think it's great that you're talking about it today. So you mentioned you you were running the cold fusion user group in, how did you get started what's called fusion equal? concepts and in acumen, and so ultimately, by the time the bubble had burst in 2001, on the startup scene, I had basically everything I needed to go and deploy robust, cold fusion application. So I started doing a little bit of consulting also went to work for another big bank, as I mentioned, and ultimately, ultimately just just building out my cold fusion document until I decided at some point to focus exclusively on on building CF websites and for my own clients, and specifically jumped into the legal field started working with law firms. And, you know, since then just haven't looked back, I built the platform that works really well for our clients that incorporates a lot of things, including CMS and e commerce and number of other things. And like I said, I haven't really programmed and probably the last six or seven years, but all of my efforts today and all of the benefits I read today, we're, we're based off of that old cold fusion development. I actually haven't gone to a cold fusion conference since I think, gosh, I can't even remember it was at the swan and dolphin in Orlando is probably maybe, I don't know, 2004 2005.
not too far. more hours drive. to possibilities. So great. 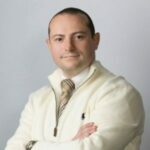 Well, I really appreciate you coming on the podcast today, Igor, and thanks for sharing all your thoughts about the CF business case and the future of cold fusion and how we can get out of the bubble in our cold fusion developer comfort zone. Yeah, absolutely. I'm happy to do it cold. I hold co fusion very close to my heart. So love to see the the language and technology prevail.